$552.00  $571.50 each List: $762.00, You Save: $210.00! 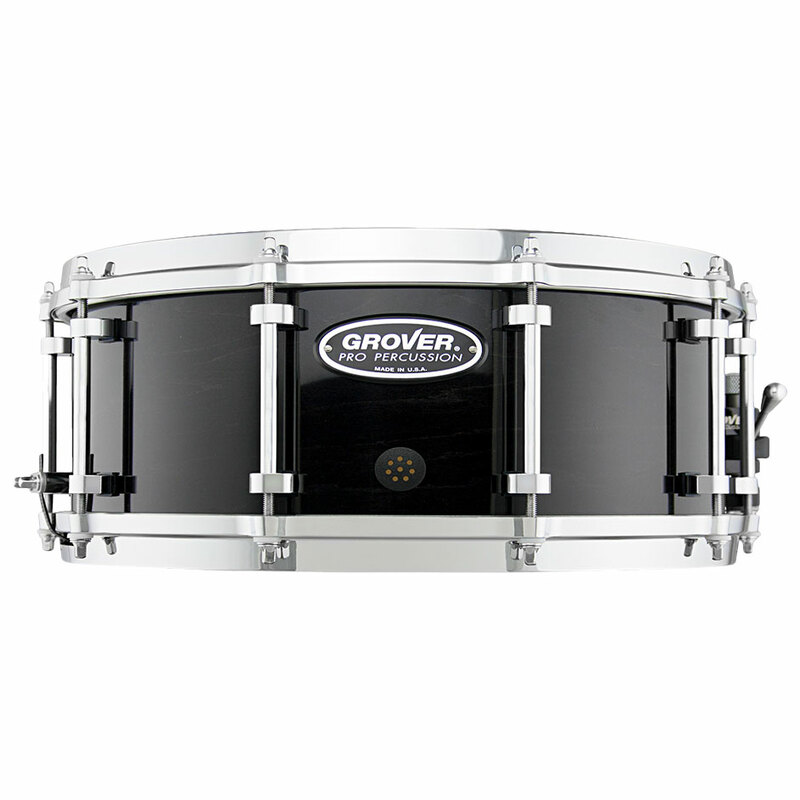 The Grover Pro 5" x 14" G1 Concert Snare Drum is an excellent choice for high schools, universities, and professional musicians who want a great-sounding drum without having to deal with the fine-tuning and moving parts of a complicated snare strainer. All G Series drums are made by throwing the idea of 'multi-tonality' out the window, instead focusing on a drum that responds evenly with clear articulation across the entire dynamic range. The cross-laminated, 10-ply maple shell has been sanded, stained, and finished with multiple coats to protect and beautify the drum. A lacquer seal on the inside surface both keeps moisture out of the wood and helps to reflect high overtones for better upper-end sounds. G1 model gives you multi-snare technology without a bunch of bells and whistles to just get in the way (or fail during a performance). 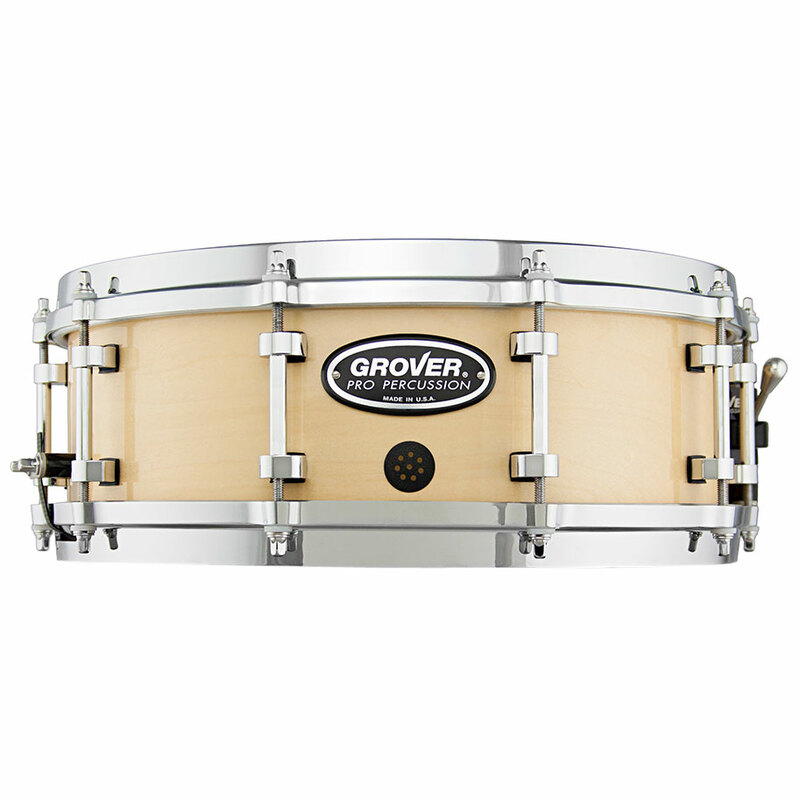 Silver/bronze combination snares are pre-tensioned to respond fully across a wide dynamic range without having to worry about balance. The wires are complemented with a smooth-as-butter Grover Pro/Trick throw-off. Die-cast rims keep the tension of the head locked down tightly, pulled in with sleek 'Contempo' tube lugs that give the drums a mechanical, well-oiled machine look.